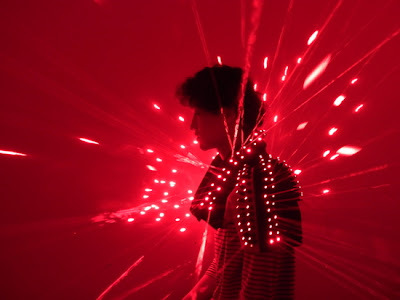 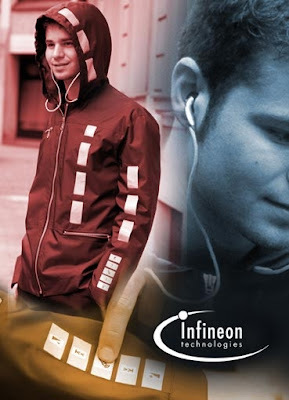 Collection of 'Creative Jackets and Cool Jacket Designs' from all over the world. 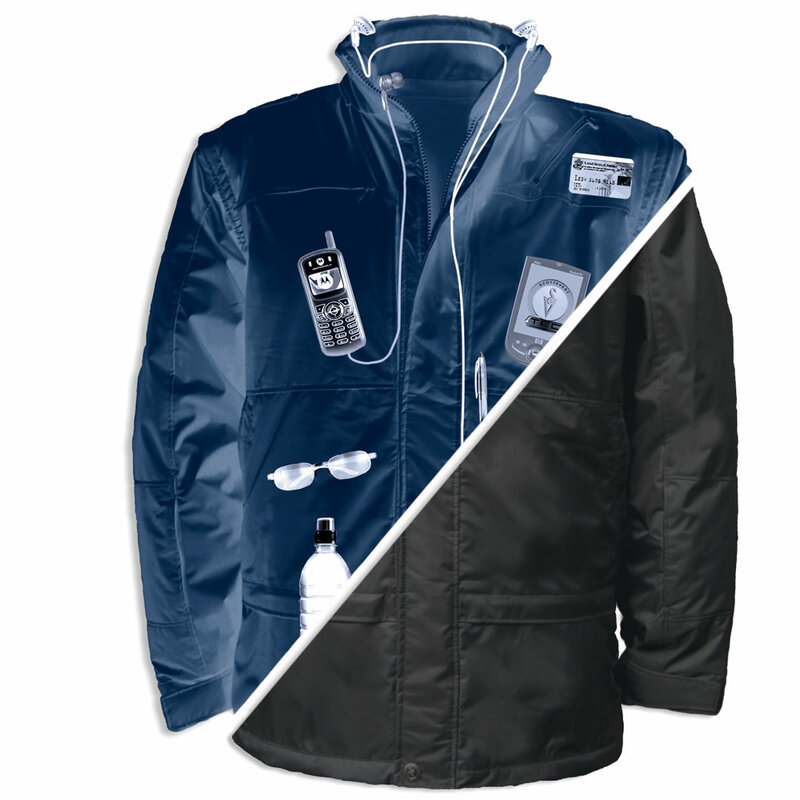 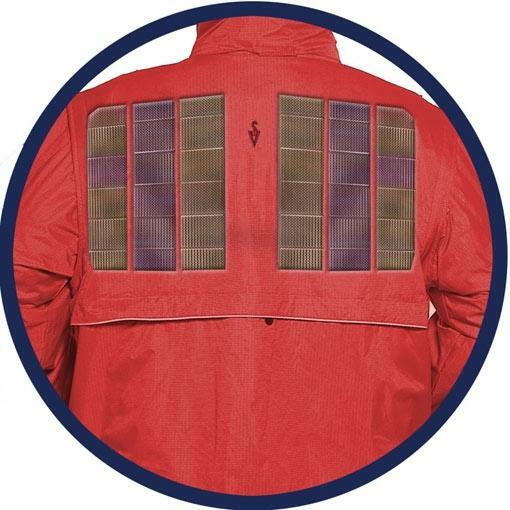 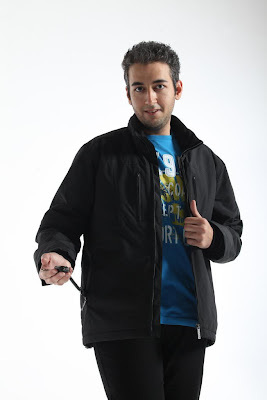 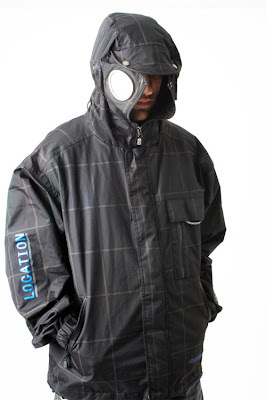 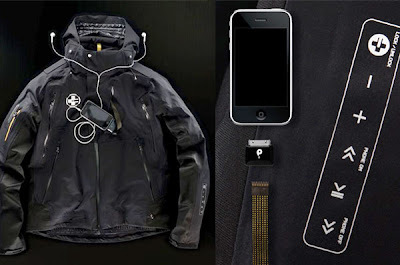 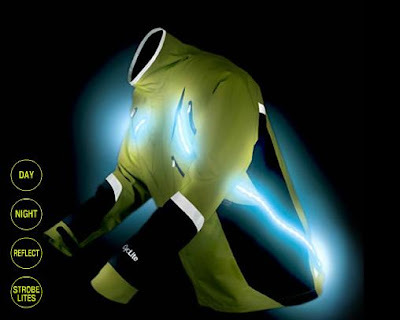 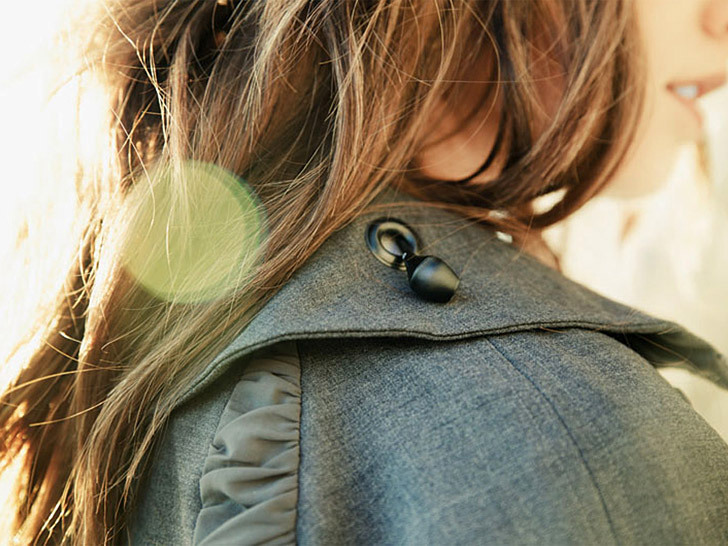 G-Man 40 Pocket Jacket: The G-Man jacket comes with 40 individual pockets, many of them hidden, for storing all gadgets. It has specifically designed pockets for MP3 player, smartphone, water bottle, wallet, keys, sunglasses, pens and many more. 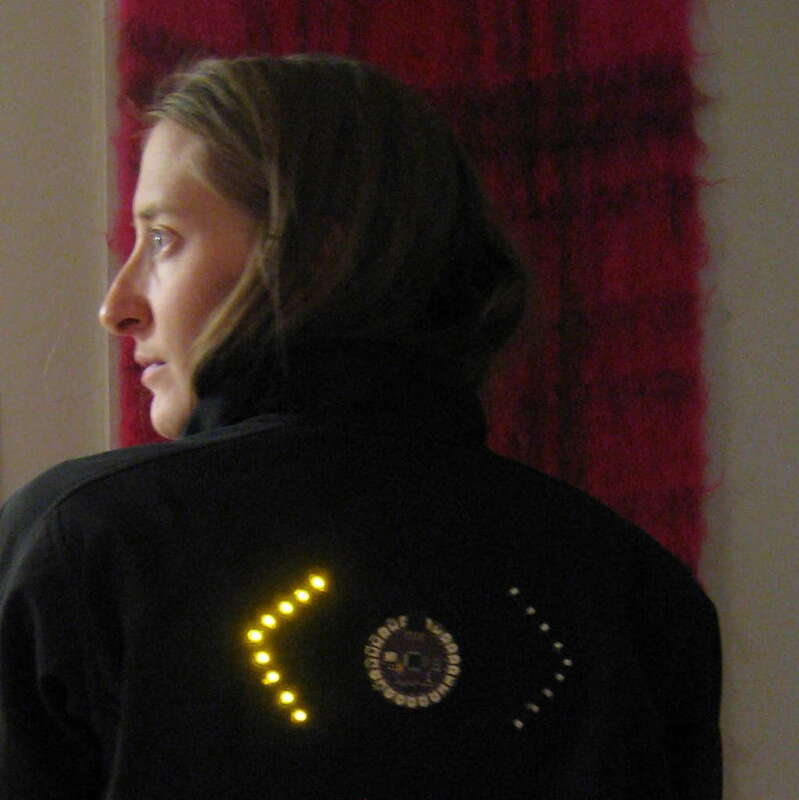 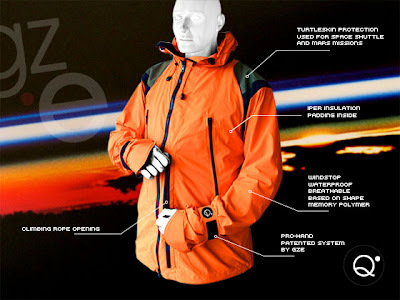 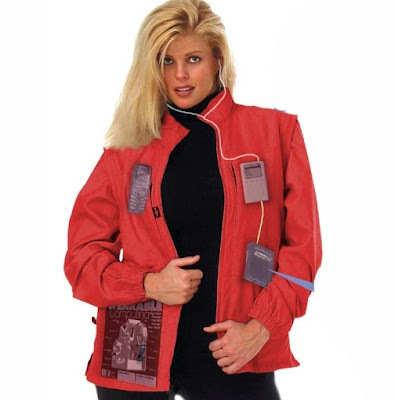 AyeGear 22 Jacket: This cool jacket comes with 22 hidden pockets, two smartphone friendly pockets, iPad / laptop pocket; it allows fingertip access to all pockets and has wire management. 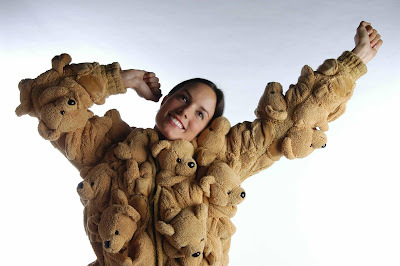 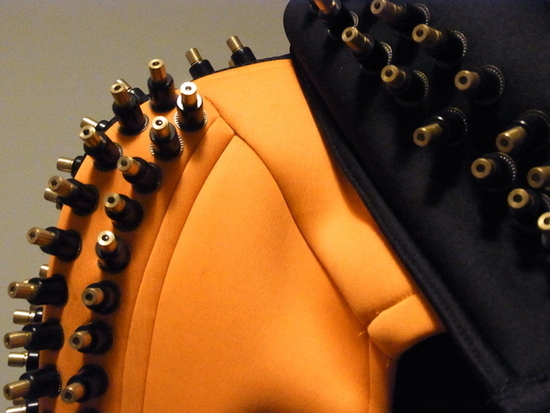 Teddybear Jacket: Designed by S Errazuriz, this unusual jacket is sure to get you noticed. 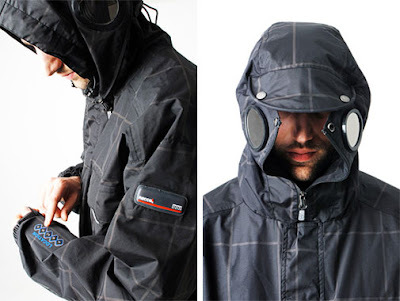 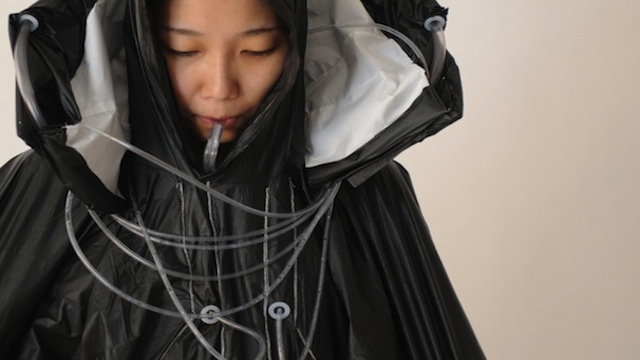 High Altitude Jacket: The High Altitude jacket from Grado Zero Espace combines technology and design creatively; it's designed to perform well in most conditions, but especially above 6000m. 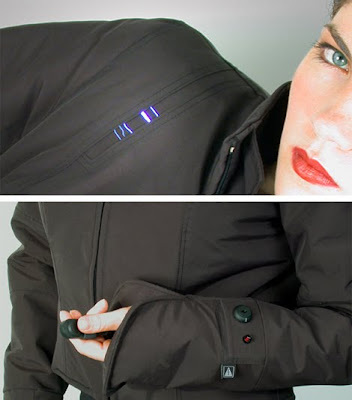 Bluetooth MP3 Snowboarding Jacket: A wearable electronics' snowboard jacket from O'Neill with bluetooth controls for your MP3 player and smartphone.